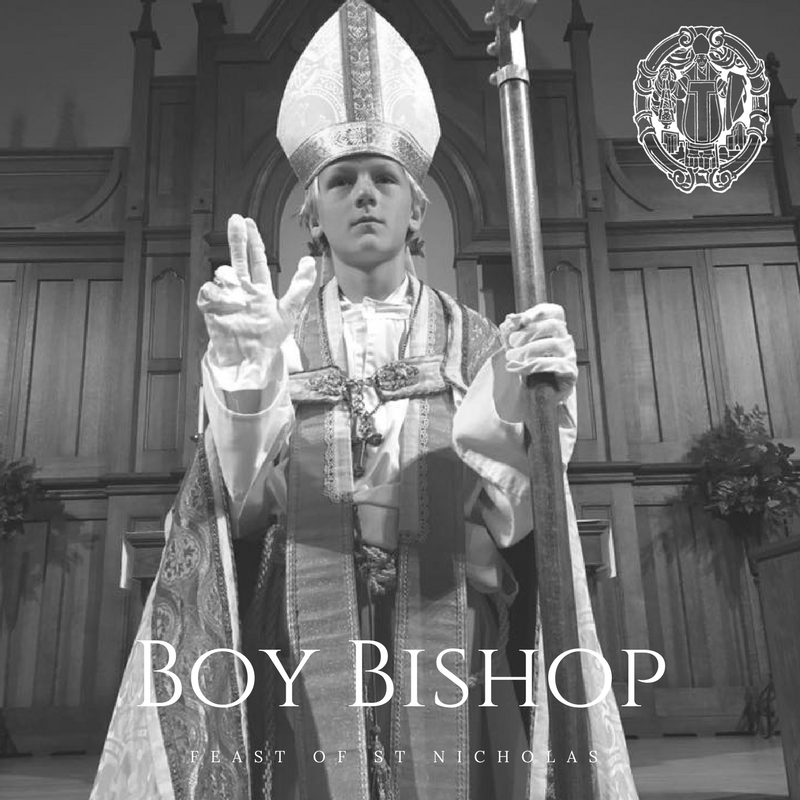 On December 5, the eve of the Feast of St Nicholas, we will install Prakash Keeley as this year’s Boy Bishop. During the Middle Ages, it was a pious tradition to install a senior boy chorister as the bishop of the diocese. It was done on the Feast of St Nicholas, the patron saints of children, and embodied the prophecy of the Virgin Mary that in Jesus Christ, God has “put down the mighty from their seat and hath exalted the humble and meek.” The boy will serve as ‘bishop’ until December 28, the Feast of the Holy Innocents. St Timothy’s revived this wonderful custom several years ago and the honor goes to a 5th grade boy.